The Los Angeles Sheriff’s Department Inmate Reception Center, is located within the Twin Towers correctional facility and is also known as, IRC. It is the primary point of contact for incoming and outgoing male inmates of the L.A. County Sheriff’s Department. There are upwards of 18,000 inmates currently in custody of the Sheriff’s Department and all of them, at one point or another, has made their trip through the IRC. The Inmate Reception Center is also the transfer and pickup point for all inter-facility male defendant transfers in Los Angeles County. Once at IRC, jailers will conduct initial medical and mental screenings of inmates transferred there. It’s important to understand that IRC is only a temporary holding facility. Therefore, visitation of inmates is not allowed at any time. If someone you know has been arrested and taken into custody at the Inmate Reception Center – IRC, we can help you out. Call us any time 24/7 if you have questions. Our consultations are always free of charge. We can be reached toll-free at 855-414-2245. 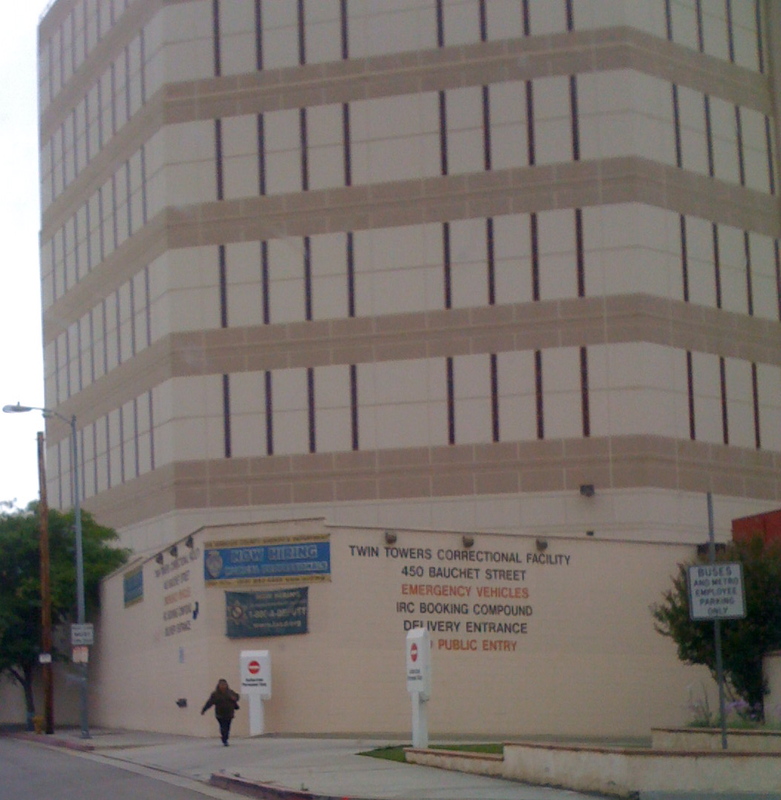 The IRC in Los Angeles sees a lot of inmates coming and going every single day. It is the primary point of transfer from jail to jail, and as such it is a very busy place. If a friend or loved one is currently located at the LASD Inmate Reception Center, the first thing you will want to do is call us immediately. Getting the bail bond process started as soon as possible is the best way to reduce the amount of time your friend or loved one will spend in custody. When you call, you will speak with a friendly, licensed bail bondsman. It can be helpful to have a little information handy before you call, in order to expedite the process. The info we will need is the inmate’s full name, birth date and date and time of arrest. If you only have access to some of this information, that’s okay! We are more than happy to help you locate your friend or loved one. We are proud to offer a variety of payment options designed to meet your needs. We accept major credit/debit cards including: American Express, Visa, Discover, and Master Card. We also accept cash, check, money order, bank account transfer and money wire. If you require more information on the LASD Inmate Reception Center, IRC, or are looking to bail out a friend or loved one, call and speak with a licensed, knowledgeable bail bondsman now. We are available 365 days a year, 24 hours a day to take your call. 855-414-BAIL (2245). We’re here to help.